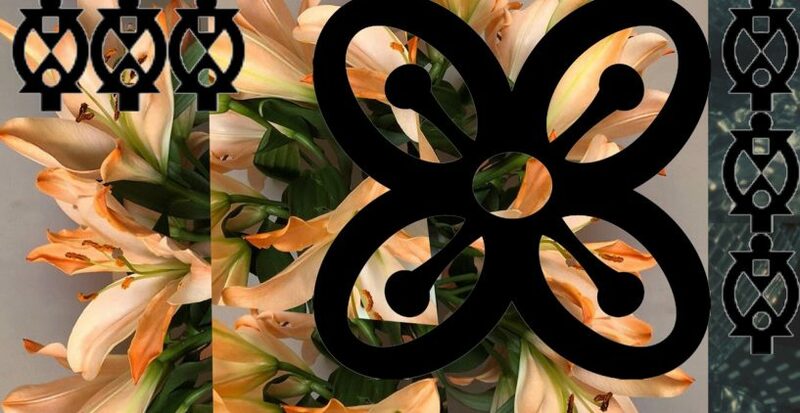 Acid house steel bands, experimental techno, modular synthesis and Vauxhall club culture. London’s biggest free contemporary art festival returns this weekend. 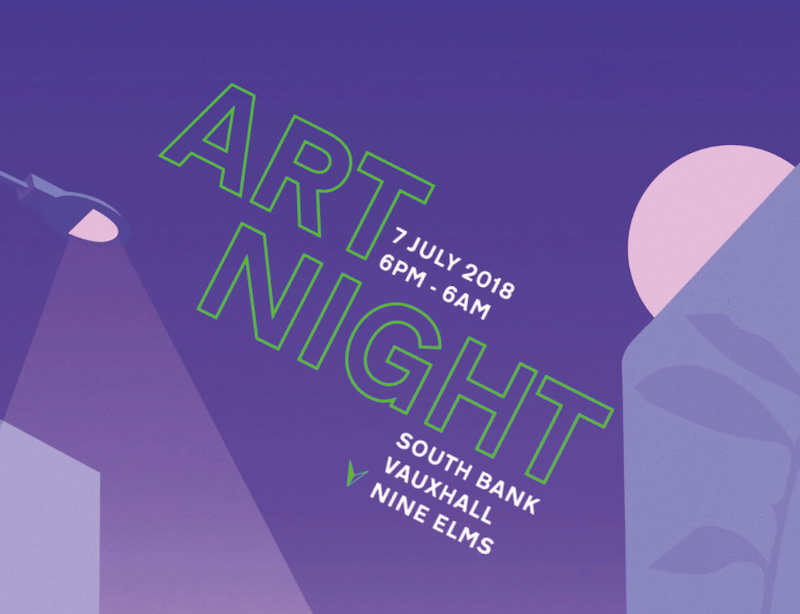 Curated by the Hayward Gallery and set to take place at a series of locations south of the river at the South Bank, Vauxhall and Nine Elms, Art Night will showcase everything from immersive a/v installations, performances, and live music, to sculpture, sound walks and participatory events. Ahead of the weekend’s festivities we’ve picked out a handful of highlights for the musically inclined to help you plan your route. 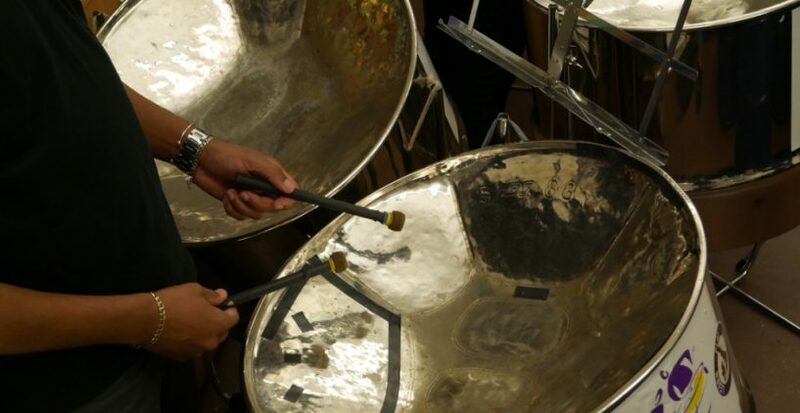 The second collaboration between Jeremy Deller and the South-London based Melodians Steel Orchestra, This Place follows English Magic (2013), which was conceived as part of Deller’s British Pavilion at the Venice Biennale. It was subsequently released on vinyl by VF, featuring steel band cover versions of Ralph Vaughan Williams, David Bowie and A Guy Called Gerald. 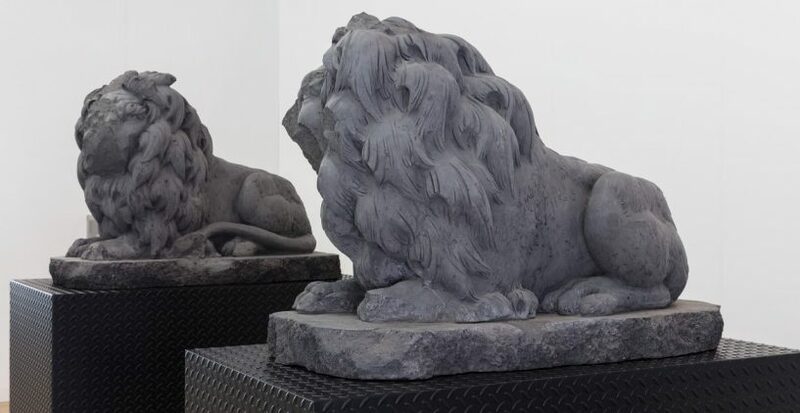 Lisson Gallery presents a live performance from Berg, and a DJ set by artist Haroon Mirza, featuring screenings of Hans Berg and Nathalie Djurberg’s collaborative Waterfall Series – a continuation of a long-standing creative relationship that has seen Berg create soundtracks for Djurberg’s playful, subversive and surreal animations. Hans Berg and Nathalie Djurberg’s Dream Maker was released on vinyl by VF, as was Haroon Mirza’s /o/o/o/o/, which featured remixes by Django Django, Factory Floor and James Lavelle. Having featured on Eddie Peake’s To Corpse soundtrack at Volcano Extravaganza in 2017, London-based artist Evan Ifekoya will present their first solo exhibition in London at Gasworks with a special performance: Healing Exercises for Limitless Potential. H.E.L.P is a live collaborative sound work by Evan Ifekoya and Hannah Catherine Jones – a time capsule for the post-apocalyptic future that is today — a mediation on meditation and healing for black folk. Prem Sahib presents a large-scale sculpture based on the footprint of a typical new-build, one-bedroom apartment, referencing the changing landscape of the local area. Inspired by the historical attractions of the nearby Vauxhall Pleasure Gardens (operational from 1732–1859) whose pavilions and walkways were transformed into notoriously transgressive spaces after dark, the piece also alludes to contemporary gay nightlife, particularly Vauxhall’s well-known club scene. 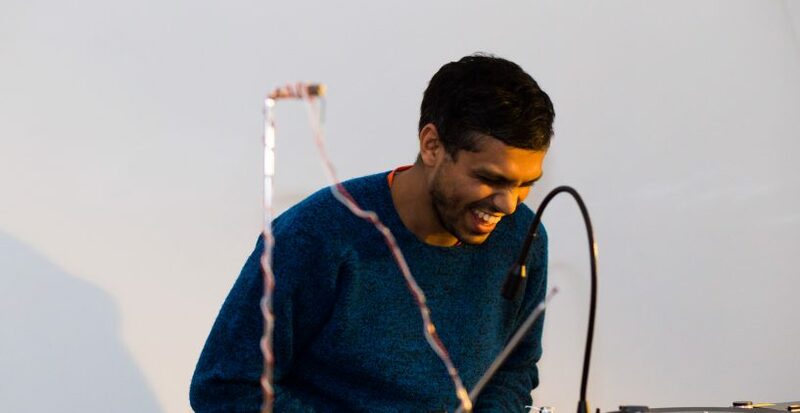 In 2015, Prem Sahib joined Eddie Peake and George Henry-Longly for AHMD’s ‘Death Drive’ 12″ – a club ready single inspired by heady nights at Berghain, and released by VF and Peake’s collaborative label project HYMN. 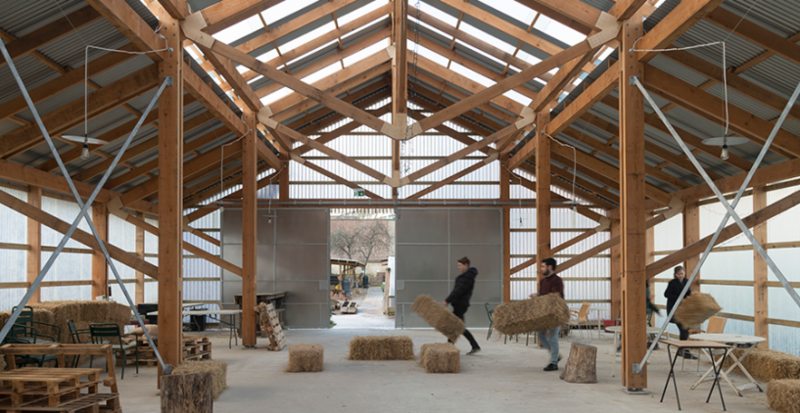 Presented by The Store X The Vinyl Factory, Pervilion will see Sasha Pirogova, Clementine Keith-Roach, James Knight and Michael Knight activate the innovative urban garden of Oasis Farm Waterloo, a pocket of Lambeth that is undergoing rapid change. Performance artist Sasha Pirogova will work with a cast of 20 dancers to create a major new performative piece exploring the impact of the garden on human consciousness. Sound archivist James Knight is collaborating with Michael Knight on a live set that will manipulate field recordings from the local area using modular synthesis, combined with spontaneously created electronic sounds and commercially available vinyl. Finally, sculptor Clementine Keith-Roach will show Belle Dam, a monumental fountain of ceramic pots bearing realistic breasts, which builds on her recent collaborative casting project Herm for Pervilion in Palermo.